Registration for the 2019 Greenville Girls Softball Association summer softball program is underway. GGSA offers slow pitch and fast pitch softball to all girls ages 4-19 years of age. All Darke County girls are welcome to play slow pitch softball at the Stebbins Field facility located on State Route 49 North in Greenville. Slow Pitch leagues include T-Ball, Munchkin, Minor, Junior, and Senior Leagues. Fast Pitch Softball is offered to all Greenville Girls in ages 3rd/4th, 5th/6th, and 7th/8th Grades and also to girls in adjoining school districts who are not offered organized Fast Pitch Softball. Go to www.ggsaonline.com for more information about the upcoming season at Stebbins Field and registration options which include, online registration, mail-in registration, and by attending one of their three GGSA Sign-Up Days at Stebbins Field. Sign-up days are scheduled for March 9th, 16th, and 23rd from Noon-2:30 PM at Stebbins Field. Officers will be available to answer questions, collect completed registration forms, and help with the registration process. Stebbins Field will be another busy softball destination for area teams in 2019 with the Greenville Lady Wave High School and Jr High Softball teams kicking things off this spring, then the 47th Annual GGSA Opening Day on May 4th, the GGSA Summer Smackdown USSSA National Qualifier June 14th-16th, the Annual GGSA Treaty City Shootout Rec All-Star Tournament in July, and ending the season with the 12th Annual GGSA Fall Fast Pitch League in September. Other event dates are in the works for the upcoming season as well and will be announced soon. The Greenville Girls Softball Association was established in 1972 and is a 501 (3) (C) Non-Profit Organization located in Greenville, Ohio. 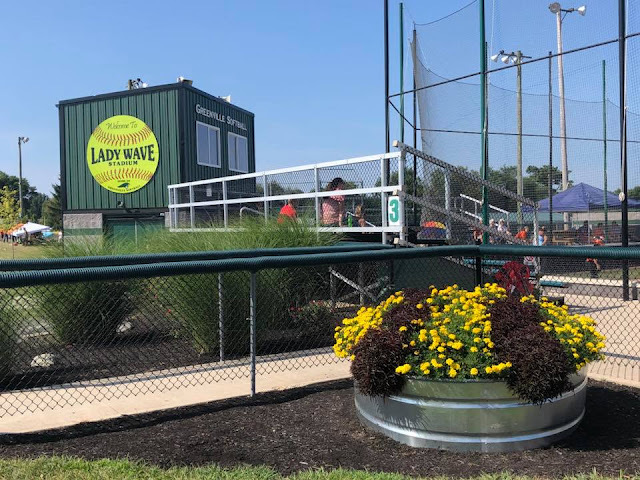 GGSA is dedicated to providing recreational softball activities for countless young ladies from across the region including Greenville, Darke County, the Southwestern Ohio Region, and across the State of Ohio. Please visit their website at ggsaonline.com or follow the organization on Facebook by searching Greenville Girls Softball Association for more information on upcoming programs and events.